Fermentation: It’s not just for the glass (and it may just be good for you). 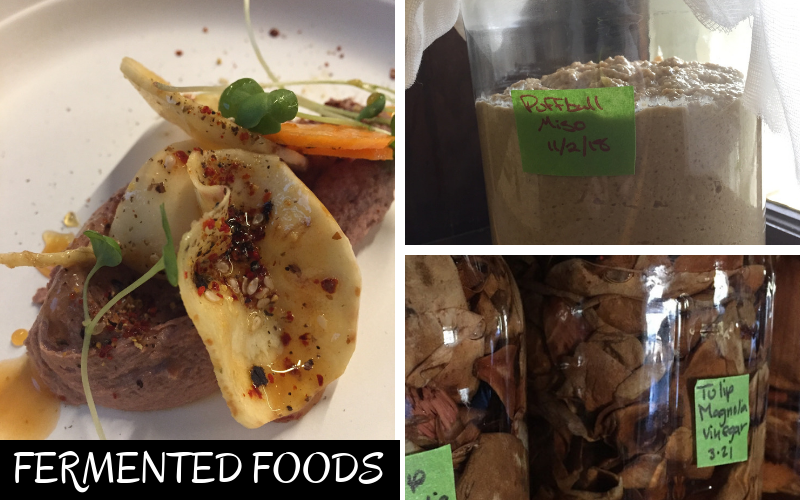 As culinary trends go, feasting on funky fermented foods feels fresh. 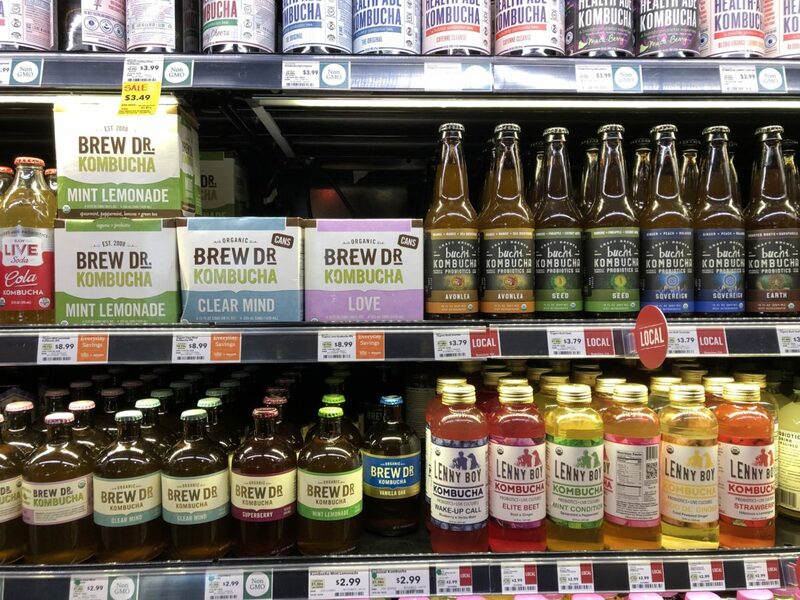 Drinks like kombucha (made from fermented tea leaves) that were once only available at hippy health food stores but now fill the shelves at every grocery store, and dishes like kimchi (the fermented cabbage, radish, or cucumber dish from Korea) appear on what feels like every other menu. So what’s the deal? Are these bites meant for the foodiest of foodies, the ones willing to go to an extreme to impress their friends with their culinary prowess? No. That’s more a dish like hákarl, the fermented shark that’s the national dish of Iceland and, frankly, gross. Very gross. Fermented foods aren’t only for the most daring of diners; they’re for everyone, though the funk of kimchi, the sometimes over-the-line sour of kombucha, and the eye-watering sharpness of raw apple cider vinegar seem to belong only in the pantry of the most “sophisticated” of food elitists. I put “sophisticated” in quotes because fermented foods are for everyone, not just a select few. Fermented foods may feel like a new trend, but they’re far from it. Along with salting and smoking, fermenting is one of the oldest ways humans have used to preserve foods. Before we get too far, I don’t want you to think, “Fermented foods? I don’t know any fermented foods,” because you do. If you’ve had yogurt (frozen or otherwise), certain kinds of pickles, even certain types of cheese and butter (including goat cheese), kefir (drinkable yogurt), you’ve had fermented foods. As a kid, the first time I tasted someone’s grandmother’s sauerkraut recipe at a potluck I was hooked. One bite of the crunchy, sour, sweet, totally perfect ‘kraut made me completely rethink the jarred stuff my mom would bring home from the A&P. Fermented dishes have been part of our collective food culture forever. Cultures of bacteria and yeast, in concert with a number of other factors, are used to ferment foods. Not only do they impart their distinctive flavors, they’re rumored to impart healthful benefits to the eater. I say “rumored to impart” because the FDA hasn’t conducted studies on the properties of fermented dishes, healthful or otherwise, which means that, officially, the jury is out. But there’s anecdotal evidence—like when I was bitten by a dog, was on some strong antibiotics and was feeling the gastro-intestinal effects thereof, and my doctor recommended a course of probiotics to help my gut build up beneficial bacteria—to bolster the “fermented foods are good for you” argument. Also, some pretty smart food scientists and microbiologists agree. …investigations have revealed strong associations between fermented dairy foods and weight maintenance. Likewise, other long-term prospective studies show reduction in risk of cardiovascular disease, type 2 diabetes…Similarly, evidence is accumulating for anti-diabetic and anti-obesity benefits of kimchi. In inflammatory bowel diseases and other immune-related pathologies such as arthritis and sclerosis, health benefits have also been proposed, although clinical data have not yet been reported. The authors, though they don’t claim that fermented foods are a quick cure for weight management, diabetes, and inflammatory bowel diseases, are intrigued enough by the anecdotal evidence and preliminary data to begin investigating. Suspected health benefits aside, fermented foods are delicious. Maybe that’s why Chef Barlowe has been making kimchi, fermented honey and fermenting his own vinegar since he opened in 2014. 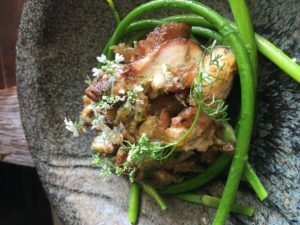 The fact that he makes some delicious dishes with these fermented ingredients doesn’t hurt his case for expanding his fermented pantry. “Kimchi was my first experience in fermenting, but we’ve made puffball mushroom miso, English pea shell kimchi, sauerkraut and pickles, gochujang, hoshigaki, more than 60 kinds of vinegar, and a number of other things,” he says. Barlowe works closely with another Charlotte-area fan of fermented foods, the folks at Lenny Boy Brewing. Lenny Boy brews beer and makes kombucha—the kombucha that Barlowe serves at Heirloom. Additionally, the Heirloom team works with Buchi in Asheville, North Carolina. Not only does the restaurant serve Buchi’s kombucha straight, it’s used in a tasty mocktail, too. Charlotte barman Bob Peters is one of a growing number of cocktail wizards using fermented ingredients—from kombucha and kimchi to miso and beyond—in drinks. So, too, does Michael Miller, co-founder of Madges Food Company in San Antonio, Texas. It’s available in every Total Wines location in Texas, on Amazon, and in a handful of stores around San Antonio. If you’re in that city, you’ll find bars using the mix, so you can try before you buy (trust me, you don’t need to, it’s great); you can even find bartenders using the mix, some of Madges’ kimchi and Sochu for an Asian Bloody Mary. “My favorite is still an oyster shooter though. Marinate the oysters in mescal, drop it in a shot glass with some of our regular [not spicy] mix, and it’s perfection,” Miller says. Elevate Elixers out of West Virginia makes another delicious cocktail or soda mixer in the form of a shrub, otherwise known as a drinking vinegar (I will admit, you do need to be a little daring to go straight soda water and Elevate’s shrub). Crafted from ingredients like ramps, they’re tasty, funky, and can give a drink an edge. So branch out. Try some kefir or skyr or even Activia yogurt (you’ve seen horror movie icon Jamie Lee Curtis hawking it on TV); buy a batch of honest-to-goodness sauerkraut or kimchi; get a bottle of kombucha and give it a taste (I recommend starting with something mild, floral, and local if you can; if you can’t, go with Brew Dr. Kombucha out of Portland, Oregon; it’s readily available and quite accessible). 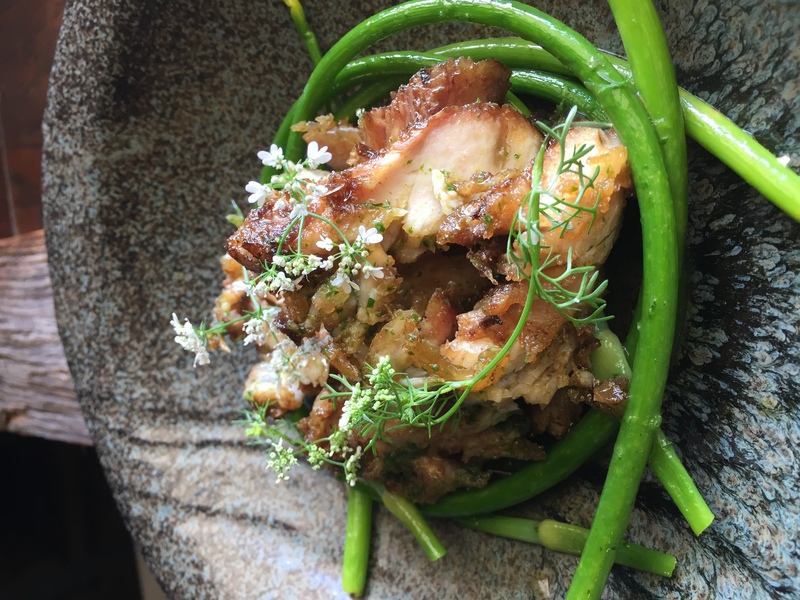 Better yet, ask your favorite chef to recommend something funky and fermented next time you feel like eating something that’s old and new, adventurous and healthful. 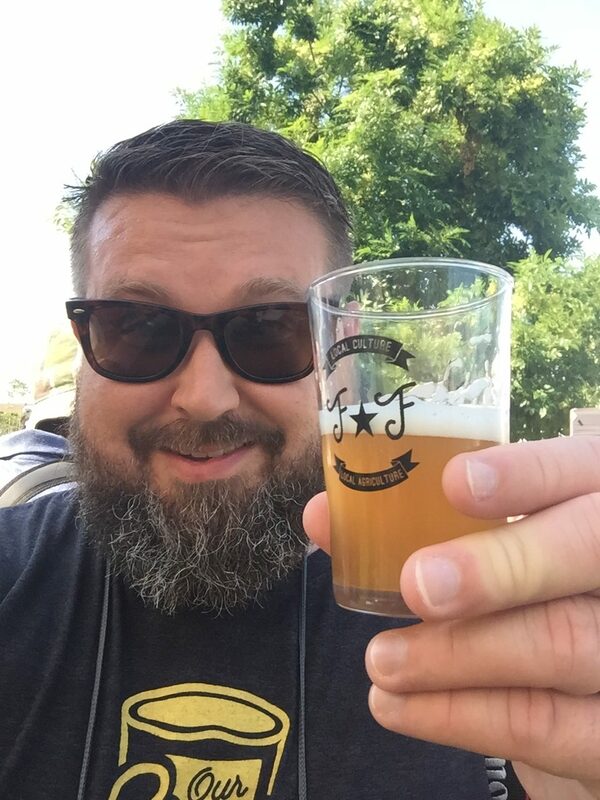 Jason Frye is a food and travel writer, author of the Moon North Carolina guidebook series, barbecue judge and cat lover living in Wilmington, North Carolina. 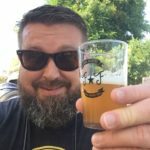 Follow his adventures, bites and sips on Instagram where he’s known as @beardedwriter.